SGM places a high value on efficiency. The team prides itself on working 24 hours a day to service the needs of their clients. 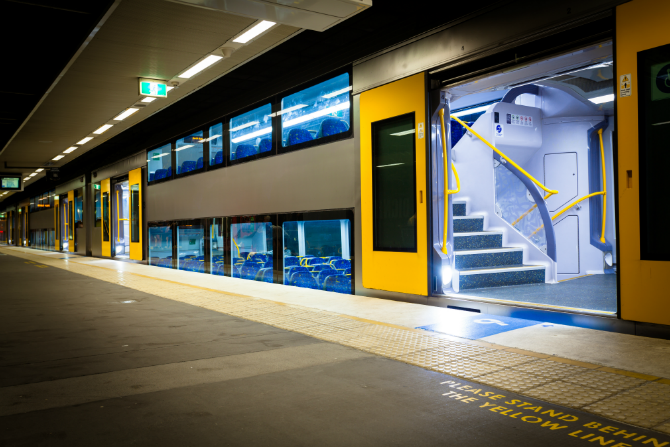 SGM partnered with Transdirect to reduce delivery costs to their customers in the rail, bus and commercial building industries. SGM specialises in supplying and cutting custom film adhesives – including anti-graffiti film, security film and tinted film. Efficient delivery is critical for SGM’s clients, especially in an emergency. SGM have some advanced fulfilment requirements. The team is constantly shipping large packages across the nation, often to remote areas of Australia. Large packages and remote areas means varying costs and limited options when it comes to freight. Transdirect offers the flexibility SGM needs to effectively plan and manage product delivery. Different product sizes means a significant difference in freight costs, which adds up when you don’t shop around. The freight calculator on the Transdirect website allows SGM to successfully implement a flexible shipping strategy. The time and cost savings are a significant boost to SGM’s bottom line. Working with Transdirect has significantly reduced SGM’s shipping costs, and directly improved the team’s ability to fulfil deliveries to meet and exceed their client’s expectations. SGM use Transdirect to find the most cost-efficient freight service provider. This helps SGM reduce costs for their customer by securing the best price available. In the event of an emergency, 24/7 instant courier quotes from Transdirect’s freight calculator gives SGM an edge. SGM can generate an exact quote on shipping costs to share with the client. This transparency between SGM and the client helps maintain a level of customer service competitors find hard to match. Flexibility, transparency and cost effectiveness are the strategic foundations of SGM’s. Transdirect offer the timely, reliable, flexible and affordable freight options SGM need to continually meet and exceed the expectations of their customers. Ready to start shipping? New customers get a quote, or existing members please sign in. Read more Transdirect client stories.